A fact-packed guide to all your favourite Doctor Who heroes and villains. 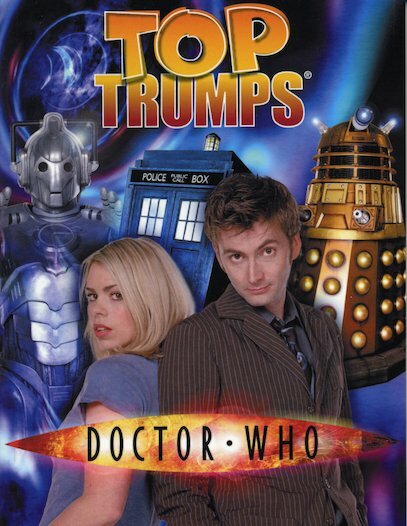 From the Doctor and Rose, fearless warriors for good, to the menacing Daleks and blood-chilling Cybermen, this gripping little book has fab full-colour profiles and vital statistics on 44 of the show’s top characters. Dare you read on? tells you about the cards but the book fell apart pretty quickly.